Prior to that, the border should be monitored by the OSCE. Ukraine wants mechanism of regaining of control over the border in Donbas to be spelled out in the road map of the Minsk agreements. "Control over the border must be reinstalled in two basic stages. At first, the border should be monitored by the OSCE - and we have a clear logic and plan [coordinated] with the OSCE, how it should be done. 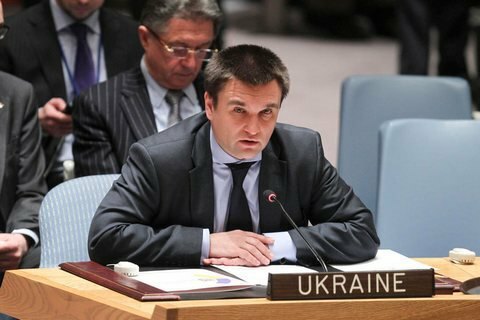 The OSCE bases must be deployed along the border, accompanied with round the clock surveillance at all key roads and railways," Foreign Minister Pavlo Klimkin unveiled the plan during an appearance on Channel 5 on Friday, 21 October. "At second stage, the OSCE groups should be placed on all the checkpoints on our side of the border. Thirdly, from these bases OSCE must control areas between the checkpoints. On the second day after the elections, we should regain direct control over the border." At the recent meeting in Berlin, the Normandy Four agreed to develop a "road map" of implementation of the Minsk agreements. The parties also agreed that an international police mission should be deployed in Donbas.